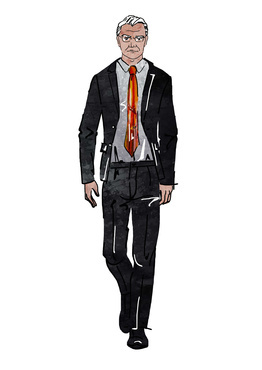 Bender Art Ties – Stylish Wear at its best. Are you confident enough when you dress up? Since when formal dresses came into the forefront to create a fashionistic sense in the world, it had its own taste. With the passage of time things quickened up, taking pace to reach out many people with innovative ideas in their dressing code. It’s not about just dressing up; it’s all about dressing up uniquely. Be a person who is choosy in dressing. A person who is choosy in dressing up will also stand out as a different personality with an esteemed identity. Selecting the right and classy wears, serves the purpose. The task doesn’t stop with proper selection of what you propose to wear, but the need for comfort arises in all case. 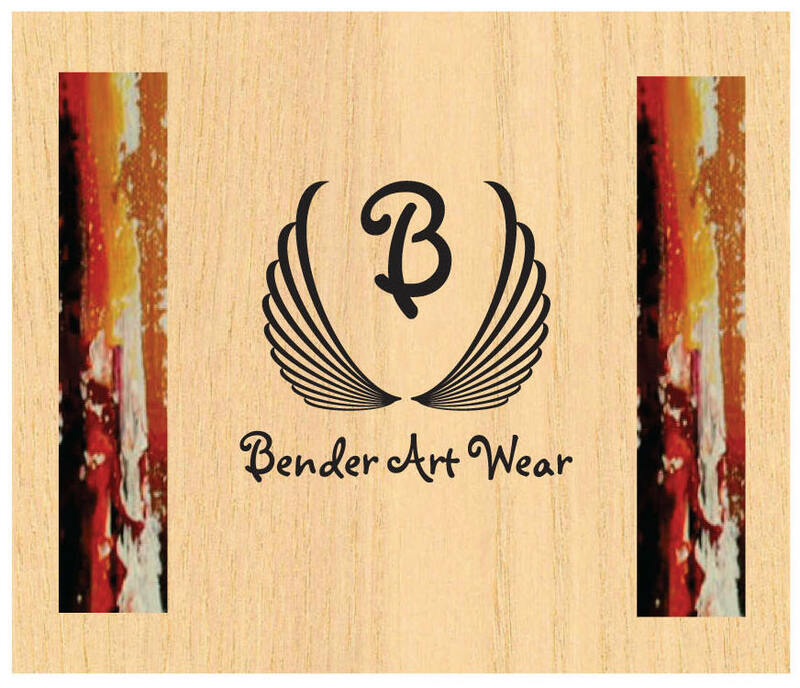 Bender Art Ties – An answer for you to be unique. When you see these pieces of art hung in an elegant way in a store, it catches your eyesight and attention more than any other tie brands available. The vibrant mix of colors and their combination is just fantastically woven to create confidence and prioritizing impact on anyone who wears it. This is not just a tie; but it is an artistic tie. The spectrum of colors used with silent depth speaks out more than anything. Be a creative one to try it. Any white collar profession demands an outstanding personality and attitude in a person. Bender Art Ties are crafted in such a way so as to allow yourself to be someone different among the competitive professionals today. Art is what you have to feel and know. You have it in Bender Art Ties. Not any scarf or tie bows can replace the sense of satisfaction and uniqueness that Bender Art Ties can only offer. Bender Art Ties: Offering you the best available quality to be prenominal. 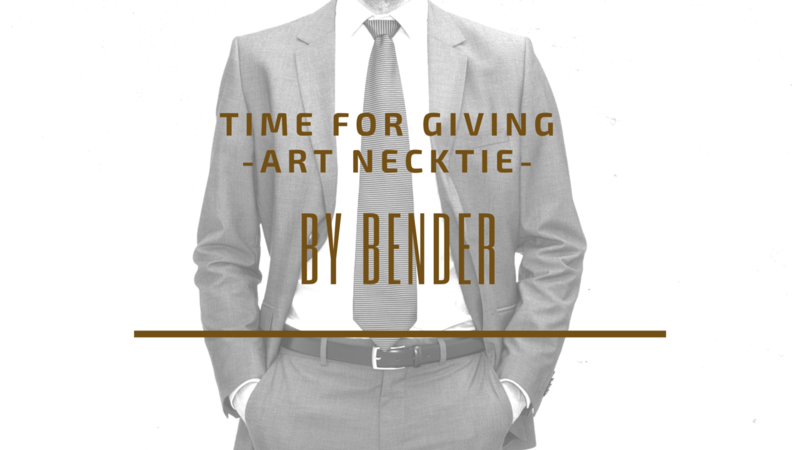 Wearing the perfect Bender Art Ties around your neck is the most attractive and beautiful thing that can boost your self-assurance and intellect. 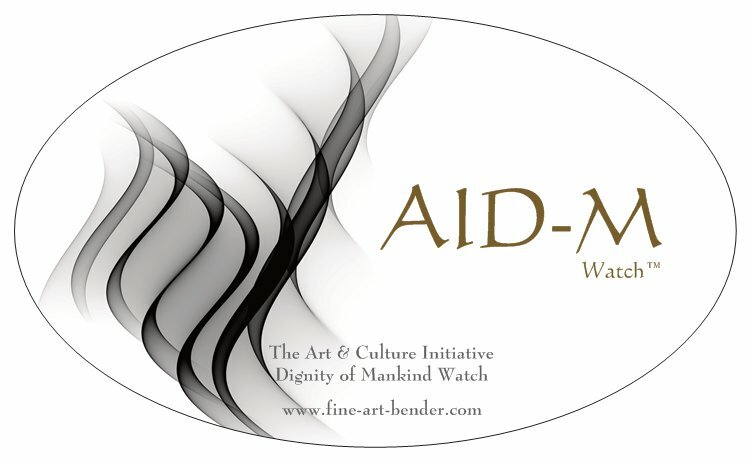 Just try it on to see and feel the magic hidden in the one and only Bender Art Ties. Thank you for the wonderful book that contained your art, as well as the art of many others. Very interesting I love your work. And thanks for the two ties as well, very colourful. Wish you all the best with your work. 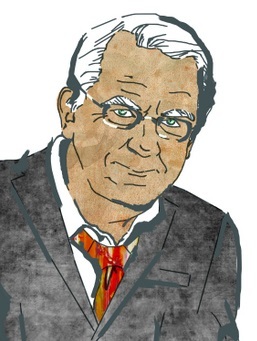 The art necktie is signed on the back by the artist. This is a fantastic abstract piece, the colors really speak to me, reminding me of a hot summer sunset. I would really enjoy a similar piece in opposite colors green, purple, blue scheme and then made into a fabric pattern for a ladies shirt. This is a beautiful piece of work. The colors are not only contrasting but also complement each other. The theme has a deepening effect. The paint strokes look like fire over a city of lights or a molten volcano area with steam vapor springing up from the earth's bowels. Such passion captured in this piece can not be compared to common artists. This work looks very professional. Might I suggest a blue or a green version as well. One of the nice painting ever I seen recently, I like it. The colours are really fantastic, i think it gives the naturalism. Seems its real and nice one. A good talented persons like a good artists. And they have a more possibility for our life. I like the array of colors used. The idea is quite original. The vibrant orange and yellows will be great for fall. I think they will look great on a scarf. I really like how bright the colors are in this painting. I also like how the brush strokes make the painting look primitive, true to the title. I like the concept of it. It is very unique idea. Thanks for this art. This one is simply great. I think this would be a great tie to wear to stand out from the crowd. I really appreciate this effort. Colours are so beautiful.. The colors are nice. Good warm and almost fall like colors. It would be a neat scarf! This is a beautiful work of art. The colors work so well together and give the work a really warm effect. I love it. Good life given to the art. Really its amazing. But i can't understand anything from the art. But it is looking fantastic. The depth and contrast of the colors are really nice. I feel like this could really spice up an outfit. Would definitely wear this as a scarf! it is a good art and i like it very much and it conveys good messages also. Love the idea of taking existing art and transforming it into a wearable piece. Use of multiple colors provides options to "dress up" any outfit. i would like it as a scarf but i can't see it on a tie. Its nice to see this kind of innovative art. Simply Amazing. This close up looks like people who are on fire! I'm sure this sort of tie would make a striking visual impression. I didn't see this type of painting and I wonder that how you are painted. I am eager to learn this painting. I don't see this type of painting and I wonder how to paint this. I want to learn this type of painting. Never have I heard the concept of wearing the print of a painting as a scarf. I would be willing to casually wear such a piece. i like the concept of this art because it symbolicallly shows certain ideas in it. thank you for giving this. Interesting that this could work for both a tie and a scarf (male or female). This design would make a cool belt, too! I would definitely buy! I like it very much from my bottom of my heart. It make it deeply of my soul. It would be really great to wear something artistic and colorful like this. Very interesting idea. Very beautiful work and many vibrant colors. This would go wonderfully on a tie or scarf combo. Great job! An idea that could be worth it. This is an awesome gift for your father on fathers day. Takes the tie gift to a whole other level. Art is an art whenever a artist feel and play on a paper with a dream to be realistic always. Hope that art will says the artist name forever. Beauty at its own This art offers something new which is uncommentable, as if it is hanging ties and scarfs. there is so much of subtlety in your art..it is kind of modern art which is also seems like nostalgic. This is a nice idea of ties and scarfs. Everybody must try this once at any specific occasion. I like the idea.. fun and original. Nice idea and excited. i would own this and give as a gift for sure!! Good idea for niece's birthday present! This scarf would really stand out! It's a perfect birthday present for my niece, who loves modern art! Not only are you talented but you have great marketing skills. These would make nice gifts! 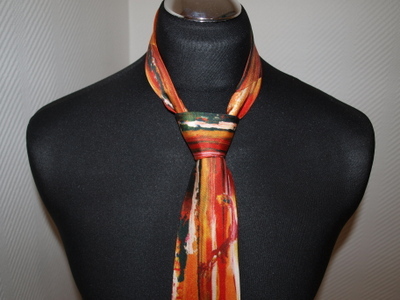 great art for tie and scarf. looks like a modern art painting. the Asian bender art wear is wonderful dress the material is Asian traditional. This is a nice concept. I can wear a nice scarf design out to dinner. Man this is a cool concept! You've taken art to a whole new level.